IRISS is a charitable organisation that promotes positive outcomes for people who use Scotland’s social services. They teamed up with Dundee-based illustrator Amanda Bataller to produce an eye-grabbing newspaper aimed at people who work in the social care and support sector. 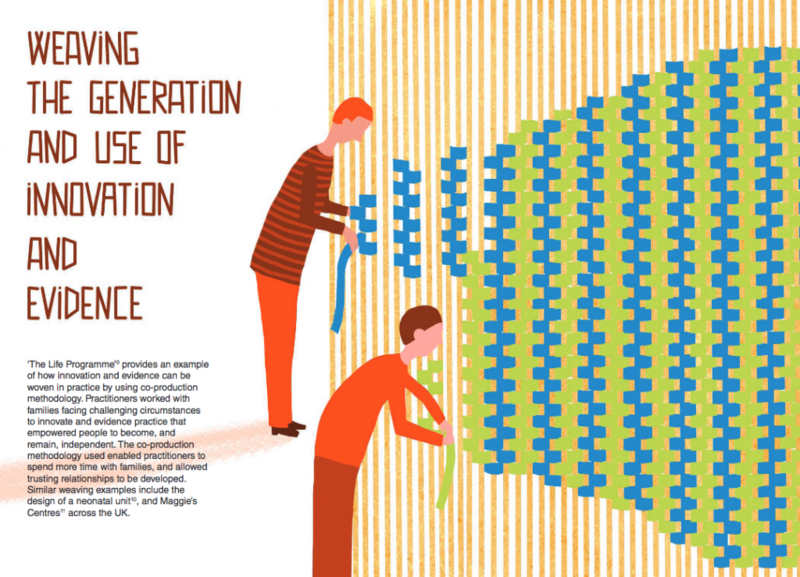 Company reports can be a chore to read but the illustrations here are wonderful, cleverly interpreting the newspaper's theme of 'weaving innovation and evidence together' and getting the point across in an engaging visual way. IRISS On… is a newspaper series written and published by the Institute for Research and Innovation in Social Services (IRISS). The newspaper aims to enlighten, inform and support people to change how they work using new knowledge and processes to develop the ways people are supported. 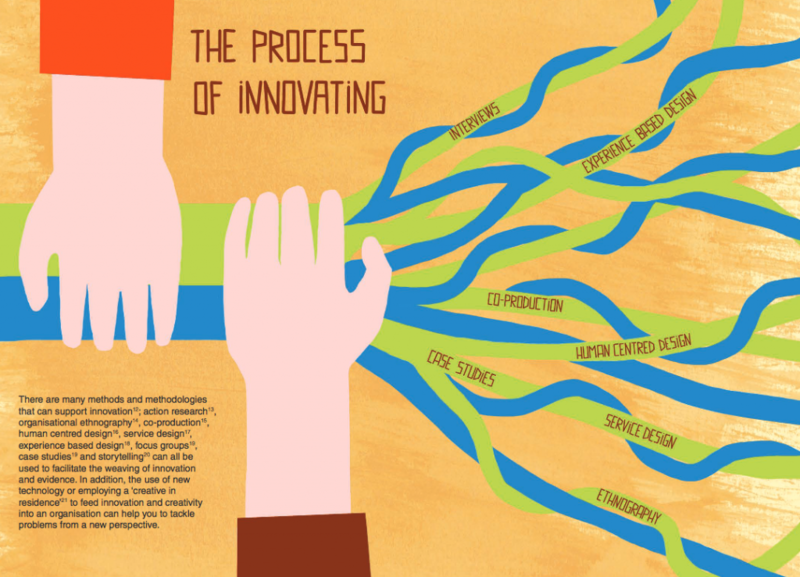 The first IRISS On…was about innovation and improvement -- this post is about the creation of the second editon, IRISS On...Weaving Innovation and Evidence Together. 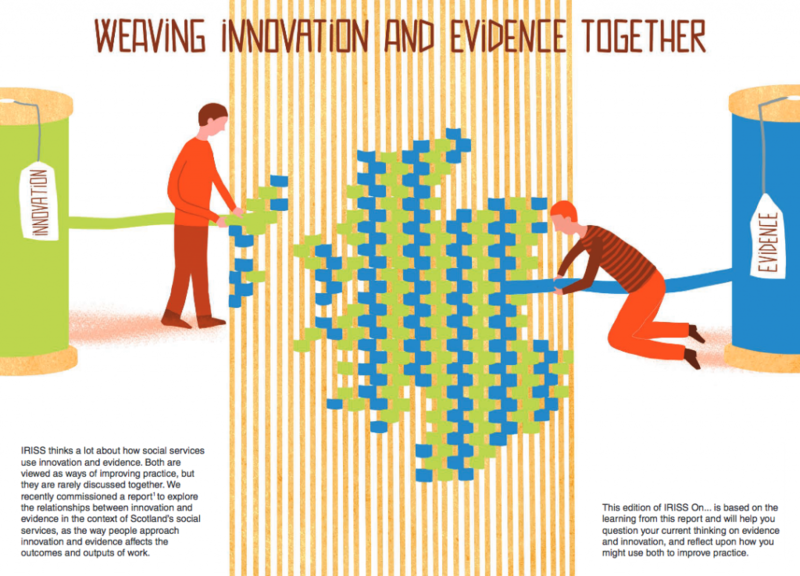 IRISS On…Weaving Innovation and Evidence Together is a 24-page traditional mini newspaper that was written by Fiona Munro and Gayle Rice (from IRISS) and illustrated by Amanda Bataller. The subject of the newspaper is an exploration into the relationships between innovation and evidence in the context of Scotland’s social services, as the way people approach innovation and evidence affects the outcomes and outputs of work. IRISS is using the newspaper to share this knowledge and encourage people to consider how they think about these two concepts, rather than seeing them as distinct and separate. Amanda created the illustrations using Photoshop. 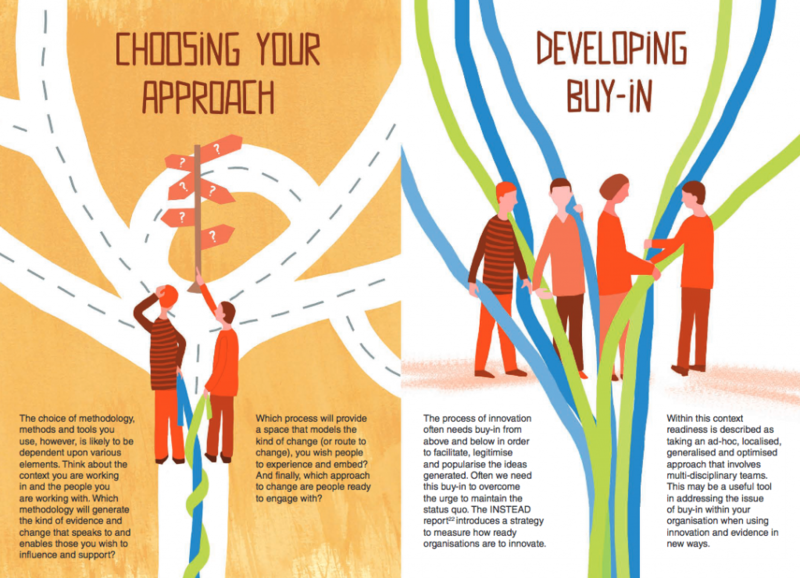 The images use the weaving concept to visually communicate the copy and make it more engaging. 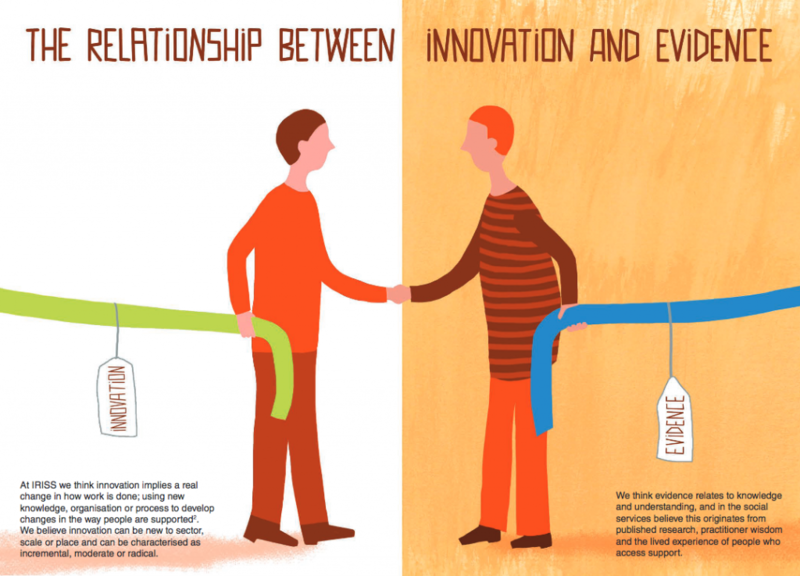 The ideas is innovation and evidence are represented by two different coloured threads: green for innovation and blue for evidence. The illustrations were used to narrate two characters using the threads in different ways and the copy provides examples of how innovation and evidence have been used in these different ways. The style is simple, clear and eye-catching. Fiona, Gayle and Amanda worked collaboratively, providing feedback to each other during each stage of the development process to reach a newspaper we are all proud of. 1,000 copies of the newspaper have been printed by Newspaper Club, and are being delivered to IRISS champions around all Scotland in different social care and support services and organisations. The license of the newspaper is creative common, so everybody can download it and use it for non-commercial purposes. Please share it widely. You can find out more about IRISS on their website and follow them on Twitter. Amanda has some more lovely work online too. Thanks for printing with us!